Anti-vascular endothelial growth factor (anti-VEGF) therapy is a popular treatment for age-related macular degeneration (AMD), as well as for other ocular diseases such as diabetic macular edema (DME) or myopic neovascular maculopathy. Anti-VEGF therapy has been shown to improve visual outcome, but it is not without complications. Rarely, a macular hole can form after an intravitreal injection of an anti-VEGF agent. 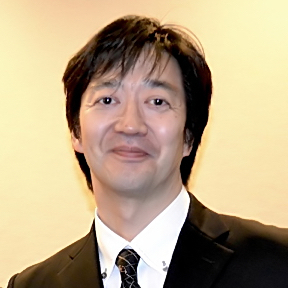 Authors of a recent study, led by Akira Hirata, MD, PhD, from the Hayashi Eye Hospital in Fukuoka, Japan, examined 1 such case in a 64-year-old female patient who had received intravitreal injection of an anti-VEGF agent for AMD in her right eye. “We identified a full thickness macular hole that was associated with the rapid resolution of the macular edema and contraction of the choroidal neovascularization (CNV),” the authors wrote. “The removal of choroidal neovascular membrane in AMD has several complications, including retinal tear formation during surgery, postoperative retinal detachment and bleeding, progressive RPE atrophy, and the late recurrence of CNV,” Hirata, a member of the Division of Microscopic and Developmental Anatomy in the Department of Anatomy at the Kurume University School of Medicine in Kurume, Japan, told MD Magazine. “Thus, this out-of-date procedure has not been performed in our hospital for more than a decade. Hirata and colleagues concluded that vitrectomy combined with CNV removal succeeded in closing the macular hole and resolving the AMD, but said CNV removal is still not considered a primary option for treating AMD. “Although it was not our aim to emphasize the usefulness of the CNV removal as a general procedure, the CNV removal could potentially lead to improvements in the visual function of the patient,” he added. The study, “Removal of choroidal neovascular membrane in a case of macular hole after anti-VEGF therapy for age-related macular degeneration,” was published in American Journal of Ophthalmology Case Reports. A supplemental video was also included.